For vacuuming household debris, fine dusts and filtering allergens, mold spores and pollen. Captures particles down to 0.3 micron in size. Fits all Vacmaster Wet/Dry vacs 5 gallon to 16 gallon (excluding model VWM510). Fits most Shop-Vac Wet/Dry Vacuum Cleaners (5 gallon and larger). For everyday household use; for wet and dry vacuuming of household dirt and debris, and sawdust. Fits Vacmaster model VF408, Vacmaster Professional model VF410P and Cleva Industrial model VF408B. Made of durable and washable polyester material. Clean the filter by tapping or brush off the dust then rinse under water. 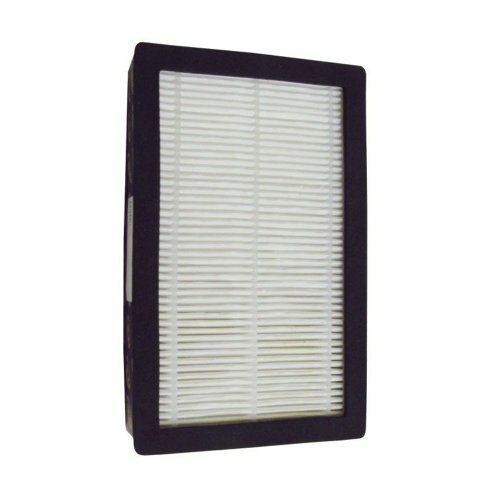 Fits Vacmaster Industrial models VK811PH and VK1011SIWTH This HEPA Cartridge Filter Assembly Contains: 1 HEPA Cartridge Filter 1 High Efficiency Pre-Filter 1 Cartridge Filter Retainer 1 Flat Rubber Washer This replacement HEPA cartridge filter has been individually tested and certified to have a minimum efficiency of 99.97% at 0.3 microns in accordance with IEST-RP-CC001 test requirements and meets the EPA's Lead Renovation, Repair and Painting (RRP) requirements. AIRH1Q2PK Oreck HEPA Filter Cartridge - 1 Box of Two Filters. 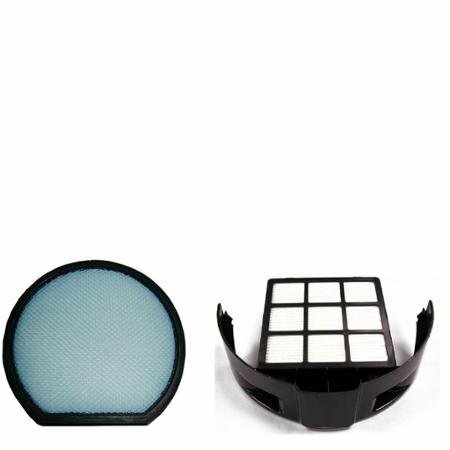 Keep you Oreck HEPA air purifier running smoothly with these replacement filters. They capture up to 99.97% of tobacco smoke, house dust, pet dander, dust, allergens, mold spores and pollen at 0.3 microns from the air that passes through the filter. 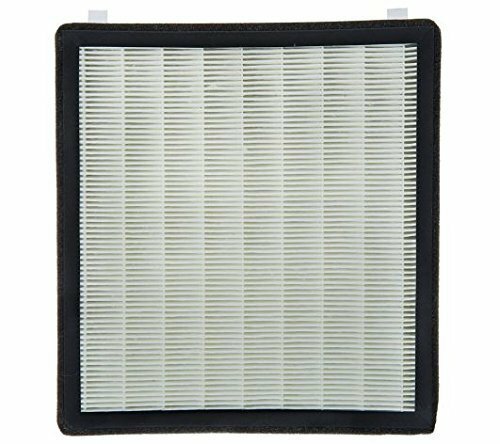 The replacement filter in the 5-Speed Air Purifier (Model KJ150F-C02) is a combination unit that contains the mesh pre-filter, H13 HEPA filter, and activated charcoal all in one. The cartridge is available with a white or black base to match your air purifier. 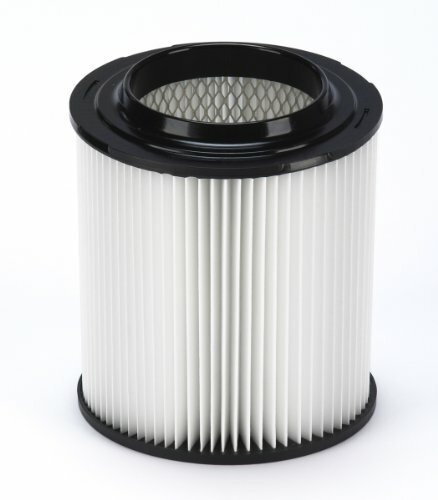 The combination HEPA/charcoal filter cartridge should be replaced every 6 months. There's no need for guessing though...the SilverOnyx 5-Speed Air Purifier has a filter life indicator on the display to remind you when it's time to change your filter. 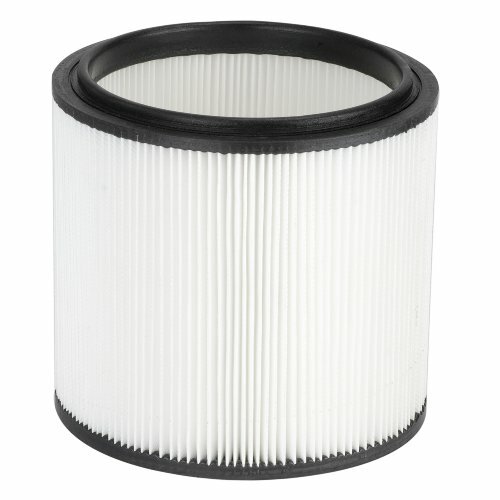 For best results, remove the filter once a month and clean with a soft brush or gently vaccum. DO NOT GET FILTER WET! 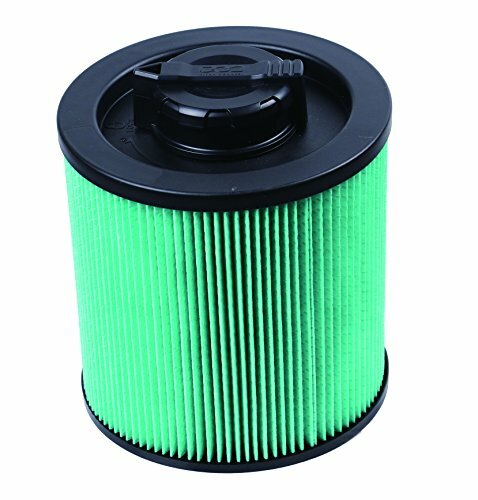 Replacing the filter is easy! Turn off and unplug the unit. Turn the purifier upside down on a soft, non-scratch surface. Turn filter counter-clockwise to remove. Remove packaging from replacement filter and insert into base of purifier. Turn filter clockwise to secure. Turn unit upright, plug in and turn it on. Press and hold the 'Reset Filters' indicator button until the light turns off. 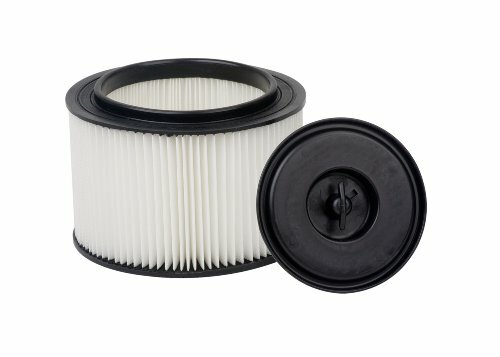 THIS IS A SUPERIOR QUALITY 3-LAYER FILTER ENGINEERED TO PROVIDE 10X MORE CLEANING SURFACE THAN MANY OTHER FILTERS. 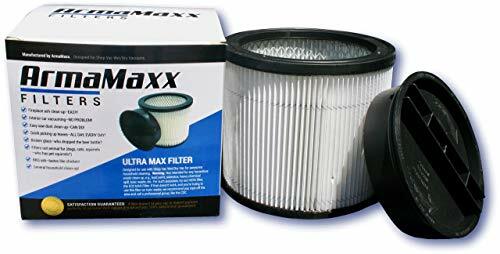 ULTRAMAX is a Replacement Filter for SHOP-VAC FILTERS WITH PART # 90304, 90585, 9058500. 90585-00. Specifically Designed to fit SHOP-VAC WET/DRY VACUUMS THAT ARE 5-GALLON OR GREATER CAPACITY No more dust spewing out when you are handling a tough cleanup! The air will remain clean as you vacuum whether you are: * Lifting Ashes * Picking up Sawdust * Cleaning up shop debris DON'T BE FOOLED, ALL FILTERS ARE NOT CREATED EQUAL! The ULTRAMAX durable advanced-designed filter: * Includes a New Screw-on End Cap * Is guaranteed to be compatible * Will last longer than most filters on the market * Will not easily clog * Will not easily fall apart or tear as other filters do Enjoy cleaner jobs and cleaner air, click the Add to Cart button NOW!PLEASE NOTE: We are changing our brand from SUPER FILTERS to ARMAMAXX. Same great products. Same great service. Just a different name. Enjoy! 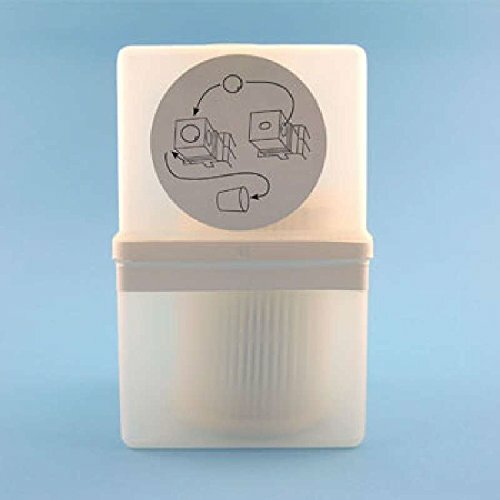 This Pro-Team 107005 replacement HEPA cartridge for ProForce HEPA vacuum cleaners is a must to keep your ProTeam vacuum running at full efficiency. ProTeam is the brand you trust with True HEPA filter technology to filter dust and particles when cleaning. The mfg part is 107005. Includes: 1 HEPA filter replacement cartridge. 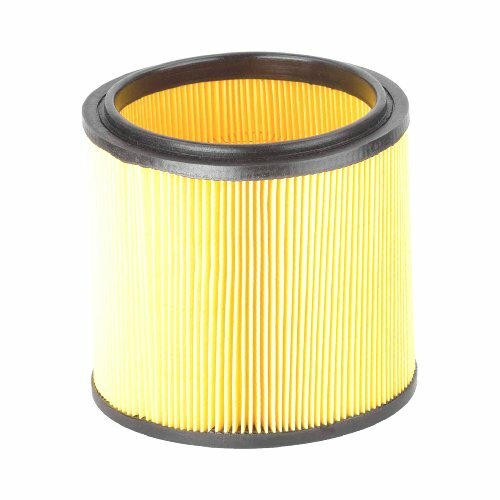 DeWALT Cartridge Filter-HEPA 6-16 gal. 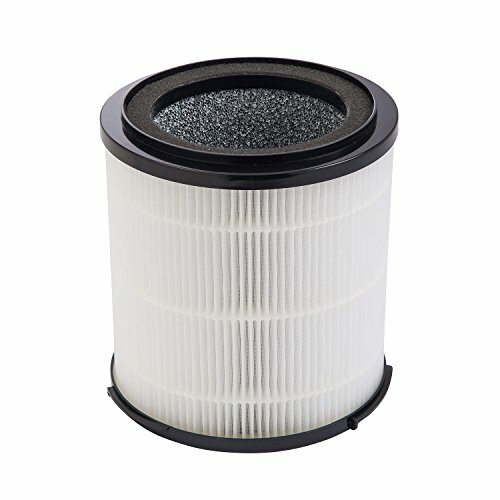 This DeWALT HEPA cartridge filter fits any of the DeWALT wet/dry vacs between 6-16 Gallons. 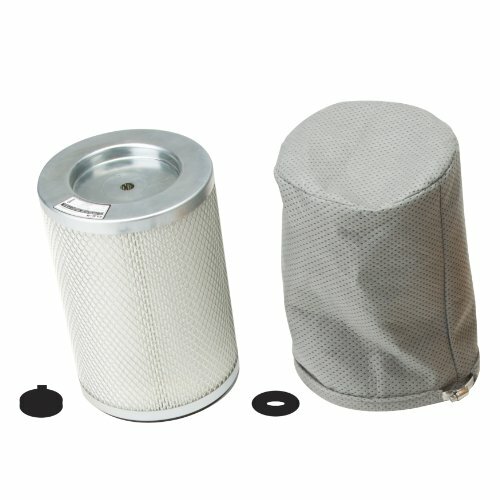 The filter easily connects to the 6-16 Gallon vacs with the Patent Pending Clean Connect locking system, allowing the filter to be installed safely and securely. This is an O.E.M. authorized part. Fits various Hoover models. OEM Part Number 40140201. Made in United States. 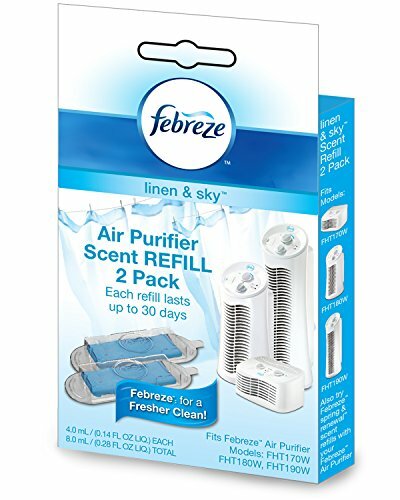 Febreze scent refill, linen & sky, 2-pack, scent lasts up to 30 days, includes 2 linen & sky refill cartridges. HQRP filter can eliminate separate particles of Embryos, Tobacco smoke, Smoke of metal oxide, Swirl on th carrying particles, Carbon black, Oil smoke, Bacterium, Spore, Cement dust, Particles creating stain or dust sedimentation, Pollen, Fog, etc. 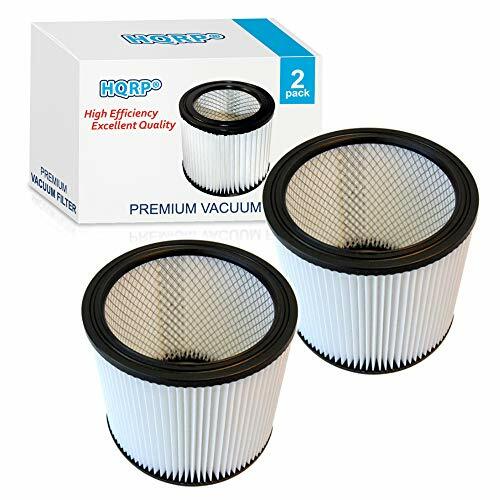 HQRP filters are made of special material. They are easy to wash with soap and water. 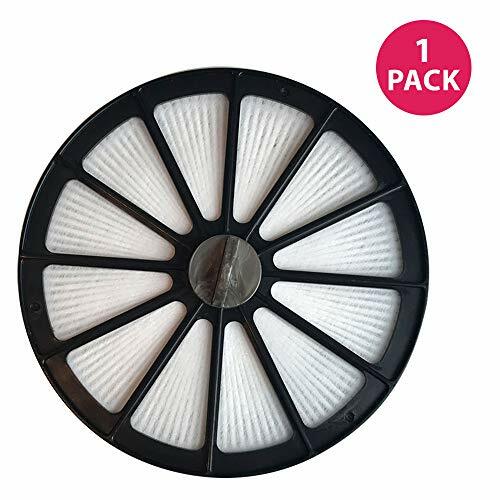 This allows multiple use of the same filter insuring longer lifetime of the filter compared to other filters and as a result money saving. Filter retainer is not included. May come in Retail or OEM packaging. 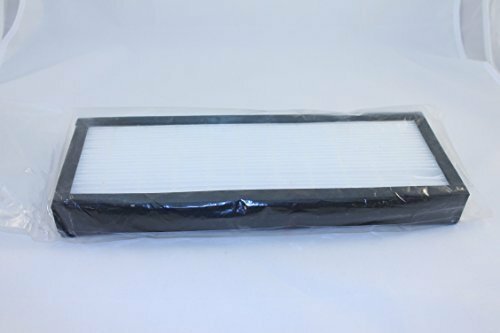 Compatible with Shop-Vac brand wet dry vacuums 5 Gallon* and above (except 5 Gallon* portable model H87S, 5 Gallon* HangUp, 5 Gallon* Wall Mount and 6 Gallon* long life model P12S Vacuums), part 90304 / 9030400 Filter Type U Replacement. 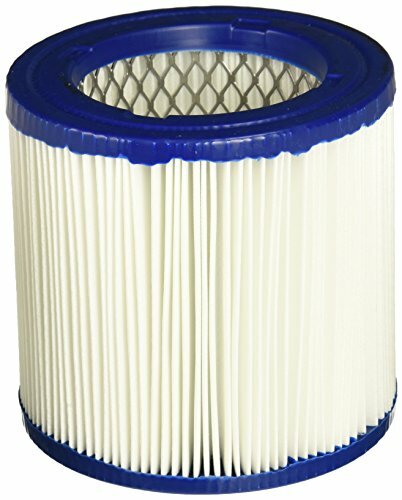 Shop-Vac 9032900 Ash Vacuum Cartridge Filter, Small, White. For use only with Shop-Vac Brand Ash Vacuum.